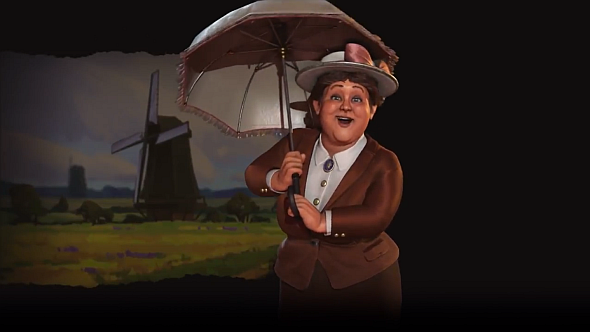 Five misspelled variables in Civilization VI’s data files have made its AI leaders more interested in religion than they’re meant to be. Spelling errors notwithstanding, Civilization VI still made our list of the best strategy games on PC. A modder who goes by Straight White Shark on the Something Awful forums says that digging through Civilization VI’s AI files led them to discover five instances where the word “YIELD” is spelled “YEILD” in variables that control AI priorities. The lines and the associated values determine the baseline for the priorities AI players set for production, science, culture, gold, and faith. By default, it seems, AI should prioritize production above all else, with gold right behind that. Science and culture are next, and faith should be the lowest priority. But since the variables are misspelled here (and nowhere else in the code), these priorities never actually get used by the game, suggesting that AIs start out treating faith and production as equally important goals. Shark ran some tests to check if these lines made a difference, and after three automated 151-turn games, it looked as though it did indeed change how AIs set their priorities in-game. PC Gamer’s Tyler Wilde confirmed Shark’s findings with his own set of tests as well. After hearing from Wilde, Firaxis confirmed that these misspelled lines were having an effect on the game. If you don’t feel like waiting for the patch, there’s a mod in the Steam Workshop already that corrects the misspelled variables. One lesson, of course, is to remember I before E, except after C. But the bigger lesson? Always make sure you’ve got a good eidtor editor.